Folksy :: Buy "Shades of Bue Doily / Coaster"
Lovely strong colours to stand out in a crowd! 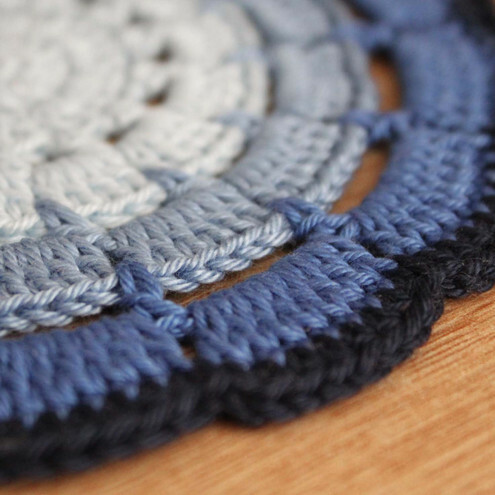 Made with four shades of lovely blue, this hand crochet doliy/coaster is made from cotton. Folksy :: Buy "Under the Sea Green Doily / Coaster"
Folksy :: Buy "Shades of Purple Doily / Coaster"